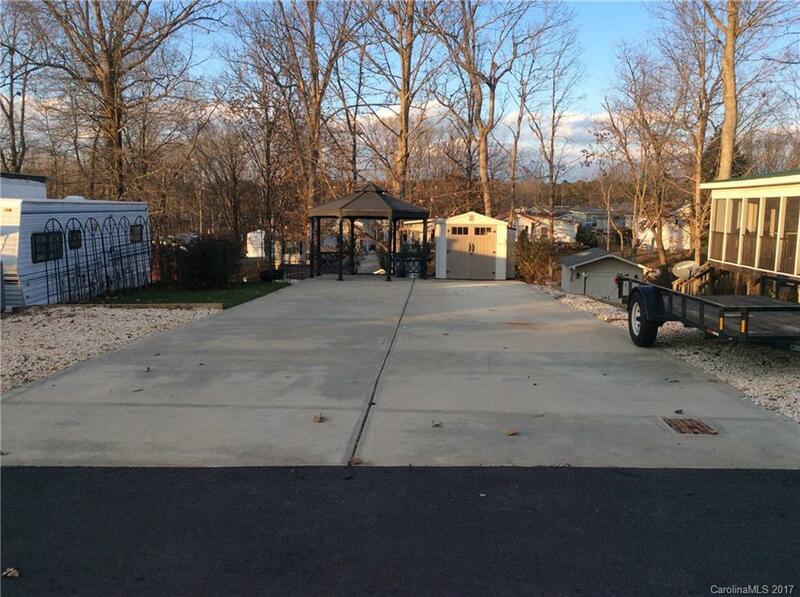 Beautiful landscaped flat lot with sod and rose bushes, large concrete pad, gazebo, two storage buildings, additional property in rear wooded A-lot. All RV hookups in place... Property is located in Badin Shores Resort. Amenities at Badin Shores include pool, private beach, laundry facility, game room, volleyball, basketball areas, lighted boardwalk, clubhouse, marina, picnic areas and fishing pier. You can also ride golf carts on streets.